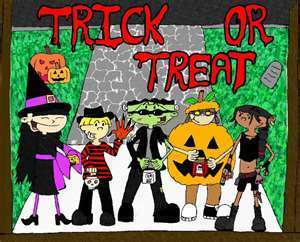 KND Halloween. . Wallpaper and background images in the Codename: Kids Next Door club tagged: codename kids next door sector v knd kids next door codename characters. Uuuuh, what is Numbuh 5 supposed to be dressed up as?